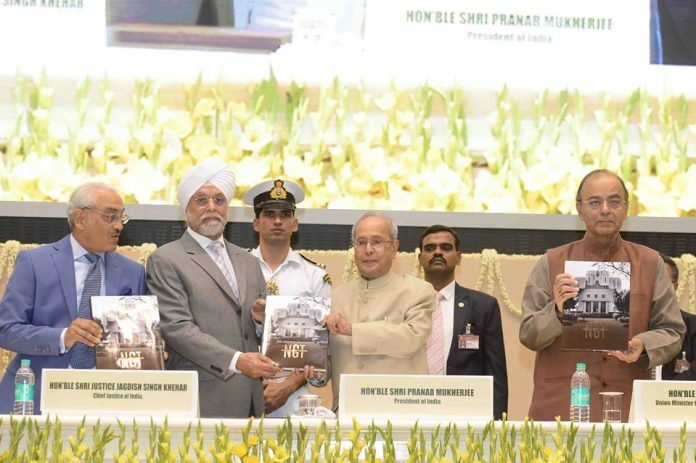 New Delhi: The President of India, Shri Pranab Mukherjee inaugurated the ‘World Conference on Environment’ organized by the National Green Tribunal in New Delhi today (March 25, 2017). Speaking on the occasion, the President welcomed the fact that conservation has now become inclusive and participatory. This shift has strengthened over a period of time due to sensitization of people in general and firm political will on part of governments all across. He quoted Mahatma Gandhi and said “Earth provides enough to satisfy every man’s need but not every man’s greed”. The President said recent studies and systematic reviews indicate that environmental factors are responsible for an estimated 24% of the global burden of disease in terms of healthy life years lost and 23 % of all deaths. Children are the worst sufferers of the adverse impact of environmental diseases. 24% of all deaths under the age of 15 are due to diarrhoea, malaria and respiratory diseases – all of which are environment related. 19% of the deaths caused by Cancer worldwide are attributed to carcinogens that unmindful industrialization produces. It is high time that we ask ourselves the questions- to what extent can we allow environmental degradation? What are we going to leave behind for our future generations? What steps need to be taken to curb this peril of environmental degradation? The President complimented the National Green Tribunal – India’s premier environment watch dog for facilitating this forum for wide ranging discussions on environmental issues of universal concern. He said global warming and rising sea levels are no more in the realm of the future. Environmental degradation and its impact on health, as also climatic changes are no more theoretical premises. Quoting the environment activist Wendell Berry, the President said ‘The earth is what we have in common’. Global growth is subject to responsible management of the planet’s natural resources. Excessive consumption of natural resources have to be impeded. He expressed happiness that over the past decade, consciousness about environmental concerns has grown and also resulted in action on part of governments throughout the world. It was this consciousness that got reflected in the Paris Agreement under the aegis of the United Nation’s Framework Convention on Climate Change.